Research Renewable Energy and water stocks as an Investor Ideas member and gain access to global stock directories. CALGARY, ALBERTA--- May 26, 2009 - Canada's largest and most diversified renewable energy company, Canadian Hydro Developers, Inc. (TSX:KHD), confirmed today the purchase of the Windrise Prospect (Windrise) from EarthFirst Canada Inc. for $250,000. Rotherham, South Yorkshire, UK, May 21, 2009 - Metalysis Ltd has raised a further £5.1 million to scale up its FFC Cambridge Process. The scale up will initially focus on the production of tantalum and titanium. All of the company’s current venture capital partners have invested further funds. “Raising over £5 million in this environment is a significant endorsement of our core technology and the progress that the company has made. It is also a real endorsement of our management team and the potential of the business,” said Mark Bertolini, chief executive of Metalysis. Metalysis owns the global Intellectual Property and commercial exploitation rights to the FFC Cambridge Process which, when compared to conventional technologies, enables a cheaper, less capital intensive and environmentally far more attractive production route to high value metals and alloys. The South Yorkshire, UK-based company is already supplying low volumes of metallurgical grade powders to its partners and is scaling up its technology to enter both titanium and tantalum markets more significantly in 2010. Tantalum and titanium powders are used increasingly in a diverse range of applications for the aerospace, marine, medical, chemical, automotive and electronics industries. During the last five years Metalysis has raised £19 million in venture capital and a further £4 million in grants. From a workforce of three in 2005, the enterprise now employs 43 people in science and engineering, scale-up and commercial development operations. The new funding comes from Environmental Technologies Fund along with 3i, Chord Capital, Seven Spires Investments and Cody Gate Ventures. In addition to providing working capital it will primarily be used to support the scale-up of a novel semi-continuous pilot plant. Issued by The Hannover Consultancy on behalf of Metalysis Ltd.
Metalysis Ltd. is the UK’s leading technology business for the global manufacture of special metals and alloys. Using the FFC Cambridge Process, the company has developed an important new technology for producing tantalum, titanium and other metals and alloys from their oxides. The Process works for a vast range of metals, alloys and carbides with significant economic and environmental benefits over existing processes. Metalysis owns the worldwide exclusive exploitation rights to the FFC Cambridge Process. The Metalysis executive team is led by chief executive, Mark Bertolini and finance director, Harry Pepper. 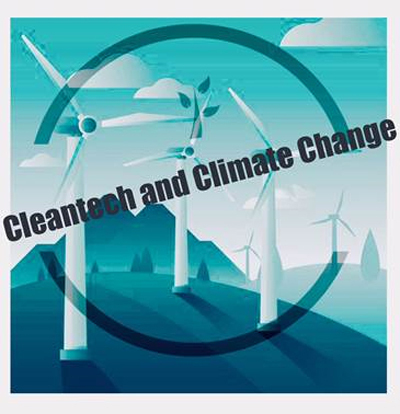 Environmental Technologies Fund is a £110m venture capital fund investing growth capital in companies focusing on clean technologies and services. ETF was created to provide entrepreneurs with a top-quality venture capital group in Europe dedicated solely to Cleantech. The team is backed by leading institutional investors and has a great deal of experience - gathered over decades - of working in Venture Capital and with environmental companies. ETF is supported by the European Communities Growth and Employment Initiative, MAP – ETF Startup Facility. Published at the Investorideas.com Marketplace Visit the Public Marketplace: http://www.investorideas.com/marketplace/The Marketplace is a meeting place created for connecting global companies in leading sectors, seeking strategic partnerships, funding, management, mergers and acquisitions, licensing or branding. The Global Green Marketplace has a growing network of green and renewable energy companies seeking funding /partners, management and a growing global network providing venture capital and equity funding with an intention to go public. Investorideas.com was one of the first online investor resources providing in-depth information on renewable energy – with its Renewableenergystocks.com portal. Investor Ideas members following the cleantech sector can now access comprehensive global stock directories in renewable energy, water stocks and environment and fuel cell stocks. POINT ROBERTS, Wash., Delta B.C., May 18, 2009 - www.InvestorIdeas.com, a leading online global investor resource, updates the Investor Ideas Global Marketplace, a meeting place for accredited investors and companies seeking funding or partners. The marketplace consists of a public page with brief summaries and ads and links to a registration page to access a private directory for accredited investors only. Recent additions to the private directory include a smart grid company based in Australia, a solar /wind company seeking project funding and a patented nanotech/water company. Current listing also include technology based water companies seeking funding, solar and wind companies seeking funding, organics, Biofuel, Defense and digital media technology seeking accredited investors. WASHINGTON--May 15 2009 --A group of representatives from major wind industry companies today released a letter to key members of Congress urging them to strengthen the renewable electricity standard (RES) contained in the draft bill unveiled this week by House Energy and Commerce Committee chairman Henry Waxman. “We are concerned that the significantly lower renewable targets currently being discussed, as compared to proposals from President Obama, Chairman Bingaman and Chairman Markey, will severely blunt the signal for companies like ours that manufacture turbines and components to invest billions of dollars to expand production and our workforces in the U.S.,” the letter said. It was signed by representatives of GE Energy, Vestas Americas, Gamesa, NRG Systems, REPower USA, Broadwind Energy, TPI Composites, PPG Industries, Clipper Windpower and AWEA. “A national RES is one of the strongest policies to promote more renewable energy because the combination of long-term demand and an immediate market triggers investment in manufacturing facilities. An RES provides specific near-, mid-, and long-market demand that other policies do not offer,” the letter said. The Waxman bill, co-introduced by Rep. Edward Markey, chairman of the Energy and Environment Subcommittee, includes a renewable electricity standard that is less than one-half the level proposed by President Obama and Chairman Markey’s original proposal. AWEA supports an RES of 25% by 2025. AWEA is the national trade association of America’s wind industry, with more than 2,000 member companies, including global leaders in wind power and energy development, wind turbine manufacturing, component and service suppliers, and the world’s largest wind power trade show. AWEA is the voice of wind energy in the U.S., promoting renewable energy to power a cleaner, stronger America. Look up information on wind energy at the AWEA Web site. Find insight on industry issues at AWEA’s blog Into the Wind. Join AWEA on Facebook. (Cincinnati, OH 5/12/09) A life cycle analysis conducted by Michigan Technological University shows thatjet fuel made from camelina could lead to drastic cuts in carbon emissions from traditional fuel. Great Plains Oil & Exploration, the largest camelina company in the world, welcomes the results of the study. "This confirms what we have learned about camelina and why we established camelina as a biofuel source,"
"The fuel industry could be revolutionized by this amazing plant," added Huttenbauer. camelina has on the environment. feedstock-derived biofuel I've ever seen". Great Plains has contracted the vast majority of acres commercially growing camelina in North America. into aviation and other biofuel production. what we have known. Camelina is at the forefront of the changing fuel landscape in North America." omega-3 rich animal feed.. More information can be found at CamelinaCompany.com. Point Roberts, South Salem, New York- May 13 2009- Investorideas.com a leading green investor portal, presents solar stocks commentary with J .Peter Lynch, a solar expert and frequent contributor to Investorideas.com. Markets go up and markets go down and these moves usually occur when it is least expected. At the present time solar stocks, the energy industry and the market in general have been in a totally amazing rally since early March 2009. Unfortunately the market and solar stocks have put on the equivalent gains two excellent years (NOT average years) in the past 8 weeks and in my opinion this is simply not sustainable. “The Dow Jones Industrial Index recently recorded a twelve year low and the media is FULL of doom and gloom. This terrible news was all over the financial press, accompanied by scenarios of more of the same to come. In fact, the recent survey from the American Association of Individual Investors (AAII) had fallen to the most bearish level in history – 70% of those surveyed felt that the direction of the market would be DOWN over the next 6 months”. “Nothing is 100% for sure, as we all know. But I think we are either at a significant bottom or very close to it. Everything is so “oversold” at this time, that I think the worst case is that we get a significant rally in what could still be a bear market”. “Keep in mind that ALL the bad news out there is in media now. We already know all the bad news. Remember that the stock market IS actually a discounting mechanism which looks out 6 to 9 months into the future. We do not need GOOD NEWS to turn the market around, only LESS bad news”. Well in retrospect that was certainly prescient insight and the market took off with most of the major indexes being up over 25% and some of the foreign markets being up over 35% percent and the solar sector of the market being UP over 70% in JUST 8 WEEKS more than triple the general market indexes. BAODING, China, May 11 2009 -Yingli Green Energy Holding Company Limited (NYSE: YGE ), one of the world's leading vertically integrated photovoltaic (''PV'') product manufacturers, today announced that it has become the first China-based company and the 40th member to join PV CYCLE, an organization based in Brussels, Belgium that promotes voluntary take-back and recycling of end-of-life PV modules. As a member, Yingli Green Energy will participate in PV CYCLE working groups whose aim is to define collection and recycling targets for the PV industry, develop voluntary agreements among members and hone PV CYCLE's business model and outreach strategy. ''As one of the world's leading vertically integrated photovoltaic product manufacturers, Yingli Green Energy is committed to helping lead the search for a truly sustainable energy solution to reduce life-cycle energy consumption and the environmental impacts associated with PV production. Our membership to PV CYCLE will substantiate our commitment to customers, authorities and stakeholders, while allowing us to join a global team of industry leaders that are similarly committed to preventing climate change tomorrow,'' said Mr. Liansheng Miao, Chairman and Chief Executive Officer of Yingli Green Energy. The PV CYCLE membership, which began on April 29, 2009, represents another step forward in Yingli Green Energy's commitment to developing sustainable energy solutions throughout all stages of the PV value chain. In addition to module recycling, Yingli Green Energy has also developed award-winning water treatment procedures which have received ISO 14000 and 14001 certification. Yingli Green Energy Holding Company Limited is one of the world's leading vertically integrated PV product manufacturers. Through Baoding Tianwei Yingli New Energy Resources Co., Ltd., an operating subsidiary of the Company, Yingli Green Energy designs, manufactures and sells PV modules and designs, assembles, sells and installs PV systems that are connected to an electricity transmission grid or operate on a stand-alone basis. With 400 MW of total annual production capacity in each of polysilicon ingots and wafers, PV cells and PV modules, Yingli Green Energy is currently one of the largest manufacturers of PV products in the world as measured by annual production capacity. Additionally, Yingli Green Energy is one of a limited number of large-scale PV companies in the world to have adopted a vertically integrated business model. Through its wholly owned subsidiary, Yingli Energy (China) Co., Ltd., Yingli Green Energy currently plans to expand annual production capacity of polysilicon ingots and wafers, PV cells and PV modules to 600 MW in the third quarter of 2009. The Company, through Fine Silicon Co., Ltd., its wholly owned subsidiary, also plans to begin production of solar-grade polysilicon in the second half of 2009. Yingli Green Energy sells PV modules under its own brand name, Yingli Solar, to PV system integrators and distributors located in various markets around the world, including Germany, Spain, Italy, South Korea, Belgium, France, China and the United States. For more information, please visit http://www.yinglisolar.com . This press release contains forward-looking statements. These statements constitute ''forward-looking" statements within the meaning of Section 21E of the Securities Exchange Act of 1934, as amended, and as defined in the U.S. Private Securities Litigation Reform Act of 1995. These forward-looking statements can be identified by terminology such as ''will,'' ''expects,'' ''anticipates,'' ''future,'' ''intends,'' ''plans,'' ''believes,'' ''estimates'' and similar statements. Such statements are based upon management's current expectations and current market and operating conditions, and relate to events that involve known or unknown risks, uncertainties and other factors, all of which are difficult to predict and many of which are beyond Yingli Green Energy's control, which may cause Yingli Green Energy's actual results, performance or achievements to differ materially from those in the forward- looking statements. Further information regarding these and other risks, uncertainties or factors is included in Yingli Green Energy's filings with the U.S. Securities and Exchange Commission. Yingli Green Energy does not undertake any obligation to update any forward-looking statement as a result of new information, future events or otherwise, except as required under applicable law. POINT ROBERTS, Wash., Delta, B.C.–May 8, 2009 - www.InvestorIdeas.com, a global investor research portal, and one of the first online investor resources providing in-depth information on renewable energy and water, has added the environment stocks directory and the fuel cell stocks directory to the growing directory of members only content and resources. Investor Ideas members following the cleantech sector can access comprehensive global stock directories in renewable energy, water stocks and environment and fuel cell stocks. Acta (AIM:ACTA.L) Acta has patented a unique family of platinum-free catalysts, which offer new possibilities in fuel cell design, in the supply of hydrogen gas and in the application of new fuel options. Advanced Engine Technology (OTCPK:AENG) Company’s mission is to successfully achieve commercial introduction of the OX2 engine. The primary focus of the company will be on the commercial introduction of the OX2 engine and the subsequent licensing of the OX2 engine technology to approved manufacturers. AFC Energy plc (AIM:AFC.L) AFC Energy PLC is a commercially focused, very low-cost fuel cell company, and we're entering the market place by targeting waste hydrogen applications. Air Liquide SA (Paris: AI.PA) Air Liquide manufactures and sells industrial gasses including hydrogen. More than half of the company’s research and development is directed toward fuel cells and other new energy sources, plus also energy efficiency and cleaner fuel consumption. The company is involved in carbon capture and sequestration projects in the U.S. and France. Air Products and Chemicals Inc. (NYSE:APD) operates in the industrial gas and related industrial process equipment business worldwide. The Gases segment recovers and distributes industrial gases, such as oxygen, nitrogen, argon, hydrogen, carbon monoxide, carbon dioxide, synthesis gas, and helium. The Equipment segment manufactures equipment for cryogenic air separation, gas processing, natural gas liquefaction, and hydrogen purification equipment. It also designs and builds systems for recovering hydrogen, nitrogen, carbon monoxide, carbon dioxide, and low dew point gases using membrane technology. American Security Resources (OTCBB:ARSC) is a holding company actively seeking to acquire and develop clean energy companies and technologies. ARSC's Hydra Fuel Cell subsidiary has developed a high volume, mass producible hydrogen fuel cell. Its American Hydrogen Corp. subsidiary is developing an inexpensive method to produce hydrogen from ammonia. Avista Corporation (NYSE:AVA) engages in the generation, transmission, and distribution of energy in the United States and Canada. The company operates in four segments: Avista Utilities, Energy Marketing and Resource Management, Avista Advantage, and Other. Avista Labs is a leader in the development and marketing of modular Proton Exchange Membrane (PEM) fuel cells. The company markets a variety of commercially available fuel cells using its patented Modular Cartridge Technology ™. Axion Power Intl Inc (OTCBB:AXPW) Axion uses patented carbon electrode assemblies to replace the negative electrodes found in conventional lead-acid batteries. The end result is the e3 Supercell; a battery-supercapacitor hybrid that offers higher power, faster recharge; longer-life and reduced lead content in a low-cost device that can be designed to deliver maximum power for fast discharge applications; maximum energy for slow discharge applications; or almost any balance between the two. Ballard Power Systems (NASDAQGM:BLDP) engages in the design, development, manufacture, sale, and service of proton exchange membrane (PEM) fuel cells for various applications. The company operates in three segments: Power Generation, Automotive, and Material Products. Ballard's focus is on further enhancing product performance, reducing costs, designing market-viable products, developing additional volume-manufacturing capabilities, and continuing to build customer and supplier relationships. Ballard is partnering with strong, world-leading companies, including DaimlerChrysler, Ford, EBARA, ALSTOM and FirstEnergy, to commercialize Ballard® fuel cells. Ballard has supplied fuel cells to Honda, Nissan, Volkswagen, Yamaha and Cinergy, among others. As an added bonus, members can access biotech stocks directory, defense stocks directory, as well as the Insiders Corner by Michael Brush. The investing in water podcast features audio interview with some of the sector’s leading experts and fund managers. POINT ROBERTS, Wash., May 6, 2009- www.InvestorIdeas.com, a leading online global investor resource and its Investor Ideas Global Marketplace and the Global Green Marketplace for green and renewable energy companies features news from clean energy wind turbine company, Leviathan Energy. May 6, 2009, Chicago, Illinois – Leviathan Energy (www.leviathanenergy.com), a diversified clean energy solutions provider, announced today that it will officially commence US sales and marketing efforts of the Wind Energizer, its patented technology for increasing the power output of large wind turbines. The Company plans to immediately begin making sales to wind farm operators across the US. The launch of the sales and marketing of the Wind Energizer comes after the company successfully concluded field tests of the product. Leviathan’s Wind Energizer is a passive land-based structure that can be adapted to any wind turbine from any manufacturer. By directing the surrounding wind flow to the most critical areas of the wind turbine’s blades, the Wind Energizer increases wind velocity to the blades, resulting in a jump of power output by some 20-40 percent when the turbine is spinning and by well over 100% in the range of marginal or poor wind speed. Additionally, by balancing the wind velocity load and shearing forces placed on the turbine, the Wind Energizer greatly reduces the stress placed on the turbine, extending both the blade and gearbox lifespan by an expected 2-3 years. Typically, wind farm operators overhaul or replace the turbine’s gearbox once every 2-8 years at a cost of $500,000. The Wind Energizer will drastically reduce the frequency at which they need to be replaced, quickly saving wind farm operators hundreds of thousands of dollars. Depending on the scope of the installation, the Wind Energizer will cost approximately $300,000-$500,000. When all the benefits, including carbon credits, are factored in, Leviathan expects that return on investment will be 1-3 years. Leviathan is presenting its revolutionary technology at the WindPower Expo in Chicago at Booth 5963. Leviathan Energy is a diversified clean energy solutions provider that was formed in 2006 in order to supply innovative, state-of-the-art technologies that will change the fundamentals of the renewable energy market on a global scale. By utilizing the physics of fluid dynamics and flow, Leviathan has created wind-, hydro-, and wave-powered products that fundamentally change the economics of investing in alternative energy technologies in these markets. Leviathan is currently also selling its small wind turbine and hydroelectric turbine. Leviathan's patent-pending products are simple to install, revolutionary, and cost-effective beyond any comparable products. Accredited Investors: Sign up and register and we can forward you our private online access to our current list of company executive summaries for review . With markets and investor sentiment changing daily- it is more important than ever to stay on top of key trends! Gain Exclusive Insight on Leading Sectors, Global Trends, and Insider Trading Ideas, News, Articles and Investor Ideas Members only Stock Directories including renewable energy, water, environment, biotech and defense stocks. SAN ANTONIO, TX UNITED STATES May 5 -- Shanghai - Held on April 22-28, the 13th International Automobile Industry Exhibition has become one of the most important global automotive industry events. 'Green' vehicles seem to be one of the highlights of the just-concluded show. In response to the alleviation of oil dependence and ever-increasing emission problem, the OEMs have been banking on 'green' cars as the long-term strategy for sustainable mobility. This trend does not only happen to global manufacturers, but especially holds true for domestic Chinese OEMs. This could be echoed by the fact that a couple of domestic OEMs like Chery, Geely, SAIC, and Changan took the wraps off of their green cars. Frost & Sullivan, the growth partnership company will briefly discuss the development of 'green' cars and the future trends. When referring to the words 'green' car, what pops up in your mind? Is it a hybrid or one of the numerous electric cars emerging these days? Perhaps a hydrogen car or a biofuel car? There are various technology options available. From the geographic perspective, different countries go to different paths. Japan is the market leader in hybrids today, with cars like the Toyota Prius and Honda Insight. In Europe, diesels comprise a large amount of the cars driven. The United States has been a laggard in alternative vehicles. In South American countries, biofuel vehicles seem to have certain markets. If we take a look at OEMs, the strategies are varied as well. Nissan oriented for battery electric vehicles and fuel cell vehicles and expect they can cover every market segment. Honda sees hydrogen as the long-term alternative to gasoline. Volkswagen originally focused more on diesel, but changing to hybrids now. Apparently, car-makers tell us we have plenty of green vehicles to choose from. The question boils down to which way China should head toward and which technology Chinese OEMs will choose? In other words, what the technology roadmap looks like in terms of 'green' cars. Frost & Sullivan believes that there are three phases for the development of 'green' cars in China. The short term alternative solutions are LPG/CNG and hybrids. The market will gradually transit to Electric vehicles in the middle stage. Fuel cell vehicles will be the choice in the long run. LPG/CNG vehicles have been used in China for many years. The development of LPG/CNG is hindered by the short of gas infrastructure and relatively unfavorable vehicle performance. Therefore, the application of LPG/CNG is limited to taxies and buses in several cities like Chengdu, Chongqing, Beijing and Shanghai. Hybrids running on both electricity and gasoline, on the other hand, seem to gain momentum in recent years. In 2009 Shanghai auto show, more than 20 hybrid vehicles are unveiled by Chinese domestic OEMs. Since their introduction in the US in late 1999, hybrid cars were considered as a short-lived second-rate technology that briefly serves a purpose until it can be substituted with something better and more enduring. Instead of being a 'bridge technology', however, Frost & Sullivan sees hybrids a necessary step for eventually heading toward battery electric vehicles or fuel cell vehicles and remain in the mainstream for quite some time in China. This is because the consumers are not fully aware of the advantages of battery electric vehicles and will slowly accept the technology. Hybrids especially plug-in hybrids will help the public to have confidence to transit from hybrids to completely battery powered cars in the future. Moreover, pure electric vehicles require an extensive public charging infrastructure. It may take decades to construct the charging stations and infrastructure in China. According to Tristin Lin, Senior Consultant from Frost & Sullivan, electric cars will be the next step after hybrids in China. Chinese OEMs have every reason to develop electric vehicles. Frost & Sullivan gives the detailed explanations from the Government, OEM and customer's perspective. Firstly, Chinese Government has determined to turn the country into one of the leading producers of all-electric vehicles within three years, and making it the world leader in electric cars and buses afterwards. As is known, electric cars by its very nature requires an integration of vastly different technologies like battery, motor and electronic controls. Successful electric car market requires integrated efforts of various market participants. Chinese Government is powerful in leveraging the resource from the very top in an efficient and effective way when it comes to support an industry development. The development of electric cars is put on the agenda of Government. According to government officials and Chinese auto executives, China is expected to raise its annual production capacity to 500,000 hybrid or all-electric cars and buses by the end of 2011. Secondly, from OEM's perspective, Chinese OEMs would also like to make intensive efforts to develop electric cars. Opposite to making gas-powered vehicles which China lags far behind the United States, Japan and other countries, the development of electric cars makes it possible for Chinese firms to circumvent the current technology and get a leap to the next stage. The leap to a new technology can be less burdened by legacy issues for the long term. Thirdly, from customer's perspective, electric cars have practical advantages in terms of Chinese customers' driving behavior. Under rare occasion that Chinese drive a long distance between cities. Commutes are fairly short and frequently at low speeds because of increasingly heavy traffic. So the limitations of all-electric cars, for instance, the limited distance range are not a big deal. Based on the technology of electric cars, eventually, China is going to move toward fuel cell vehicles. The technologies of hybrid and electric cars are also applied to fuel cell vehicles. "Green" is an emerging automotive marketing term which the public is beginning to see through. The golden age of "green" cars will eventually come, but the key question is how long it will take until hybrid, electric cars and fuel cell vehicles can see a certain penetration in Chinese passage car market. It's not a favorable thing if 'green' car just become another rhetoric put out by OEMs' public-relations departments or little green lipstick OEMs put on it. The first hybrid in China, Toyota Prius, was introduced in 2006. However, the total sales of hybrid in Chinese market only amounted to around 2,100 units with limited models availability. This is not just happening in China, but also worldwide. Globally, fuel cell cars have been hyped as the best solution for over ten years, now. Ten years ago the engineers said it would be "ten years" before the technology is practical for use. 5 years ago these same engineers said it would be another "ten years" to go. We heard again a "ten years" on this year's auto show. The question is often raised both in the automotive industry and customers when it will really happen. Apparently, it's a hard question to answer. A lot of issues need to be addressed like battery technology, recharging infrastructure construction, and governmental subsidy, etc to realize the dream of 'green' cars. Frost & Sullivan forecast that hybrids for the masses will come true by 2011-2012 in China. The battery electric cars will start in 2010 and see gradual penetration in the next decade. For fuel cell vehicles, it will still be a long way to go in China market. BOULDER, Colo.--May 4 2009 -The wind energy industry has been battered by the global economic crisis, with market participants being dealt a severe blow by the credit crunch that began in 2008. However, the future prospects for wind energy remain bright, according to a new report from Pike Research. The cleantech market intelligence firm forecasts that total installed wind generation capacity will reach 320 gigawatts (GW) in 2015, representing a 165% increase over 2008 levels. In addition to new site development, one key revenue driver will be the replacement of aging turbine fleets. “Most turbines were designed for a 20-year useful life,” says Wheelock, “but in many cases it makes economic sense to replace 10-year-old turbines with newer, larger, more efficient models.” By 2015, Pike Research forecasts that 31% of all turbine installations will be replacements, with an even higher percentage in Europe given that region’s larger number of legacy turbines. Pike Research’s study, “Wind Turbine Opportunities and Outlook”, analyzes key market factors in the global wind energy industry, including technology issues, regulatory frameworks, and the competitive landscape. The report includes rich quantitative analysis such as market sizing, segmentation, market share of top turbine vendors, and global growth forecasts by country through 2015. An Executive Summary of the report is available for free download on the firm’s website. Pike Research is a market research and consulting firm that provides in-depth analysis of global clean technology markets. The company’s research methodology combines supply-side industry analysis, end-user primary research and demand assessment, and deep examination of technology trends to provide a comprehensive view of the Renewable Energy, Clean Transportation, Clean Industry, Green Consumers, and Environmental Management sectors. For more information, visit www.pikeresearch.com or call +1.303.997.7609. POINT ROBERTS, Wash., Delta, B.C.–May 1, 2009 - www.InvestorIdeas.com, a global investor research portal, and one of the first online investor resources providing in-depth information on renewable energy and water, has added the environment stocks directory to its growing directory of members only content and resources. Sustainable Construction & Materials Stocks Sustainable & Social Financial Institution Stocks Waste to Energy Water Treatment Technology Stocks. Investor Ideas members following the cleantech sector can access comprehensive global stock directories in renewable energy, water stocks and environment stocks. MARLBORO, Mass. and WUHAN, China--May 1 2009 --Evergreen Solar, Inc. (NasdaqGM: ESLR), a manufacturer of String Ribbon™ solar power products with its proprietary, low-cost silicon wafer technology, today announced it has entered into a frame agreement with Jiawei Solar (Wuhan) Co. and the Wuhan Donghu New Technology Development Zone Management Committee which calls for a significant expansion of String Ribbon wafer manufacturing in Wuhan, China. The parties expect to finalize the terms of the manufacturing relationship over the next 90 days, including obtaining project financing and other approvals and permits, and plan to begin production in the second quarter of 2010. Evergreen Solar will manufacture String Ribbon wafers using its state of the art Quad furnaces at a leased facility being built in Wuhan, China on Jiawei’s campus. Jiawei will process String Ribbon wafers into Evergreen Solar-branded panels on a subcontract basis. Evergreen Solar will reimburse Jiawei for its cell and panel conversion costs, plus subcontractor fee. The actual price paid to Jiawei will be negotiated annually. The Wuhan government will provide, or coordinate with other Chinese governmental agencies, various incentives, including guarantees necessary to obtain third-party bank or other financing. Initial capacity is expected to be approximately 100 MW and the parties intend to expand production capacity to approximately 500 MW by 2012, the timing and extent of which will be determined in 2010. The establishment of our wafer manufacturing facility and the subcontractor relationship with Jiawei remains subject to the satisfaction of certain conditions, including financing, various import/export and construction permits and the negotiation of definitive agreements between Evergreen Solar and Jiawei. “We are thrilled about our new relationship with Jiawei and the support that we are receiving from the Wuhan Management Committee, said Richard M. Feldt, Chairman, CEO and President. The cost of our 100 MW wafer facility will be between $40 million and $50 million and we will seek financing for about two thirds of that amount, reducing our portion of initial capital required to approximately $15 million to $20 million. “Combining our unique low-cost String Ribbon wafer manufacturing technology with Jiawei’s proven low cost manufacturing capabilities will result in a compelling value proposition for our customers and the solar industry. At full capacity of about 25 MW per quarter by the end of 2010, we expect that total manufacturing cost of String Ribbon panels produced in China, including Jiawei’s subcontractor fee, will be in the range of $1.40 per watt to $1.50 per watt. As the price of silicon returns to its historic level of about $50 per kilogram and as both companies work together to improve technologies and reduce manufacturing costs, we believe that total manufacturing cost could be reduced to approximately $1.00 per watt by the end of 2012,” Feldt concluded. Management will conduct a conference call at 5:00 p.m. (ET) today to. The call will be webcast live over the Internet and can be accessed by logging on to the "Investors" section of Evergreen Solar's website, www.evergreensolar.com prior to the event. The call also can be accessed by dialing (877) 704-5378 or (913) 312-1269 (International) prior to the start of the call. For those unable to join the live conference call, a replay will be available from 8:00 p.m. (ET) on April 30 through 8:00 p.m. (ET) on May 7. To access the replay, dial (888) 203-1112 or (719) 457-0820 and refer to confirmation code 5600248. Evergreen Solar, Inc. develops, manufactures and markets String Ribbon™ solar power products using its proprietary, low-cost silicon wafer technology. The Company's patented wafer manufacturing technology uses significantly less polysilicon than conventional processes. Evergreen Solar's products provide reliable and environmentally clean electric power for residential and commercial applications globally. For more information about the Company, please visit www.evergreensolar.com. Evergreen Solar® and String Ribbon™ are trademarks of Evergreen Solar, Inc.
About Jiawei Solar (Wuhan) Co. Ltd., Inc.
Jiawei Solar (Wuhan) Co. Ltd., Inc is a subsidiary of Jiawei Solarchina Co., Ltd. Inc, a fully integrated manufacturer of solar products serving OEM and ODM customers around the world, including SunPower Corporation. Jiawei offers its global customers high performance solar products for a broad range of applications including residential and commercial end-users for off-grid and on- grid applications. The Company is dedicated to providing its world- class customer base with innovation, manufacturing excellence and superior product quality. For more information about Jiawei Solar, please visit www.solarchina.com.hk . This press release contains forward-looking statements made pursuant to the safe harbor provisions of Section 21E of the Securities Exchange Act of 1934. These statements are based on management’s current expectations or beliefs. Such forward-looking statements include, but are not limited to, those related to expectations regarding the establishment of an Evergreen Solar wafer manufacturing facility in China, finalizing a contract manufacturing relationship with Jiawei Solar (Wuhan) Co., Evergreen Solar’s future manufacturing and product costs, the future capacity of Evergreen Solar’s China-based facilities, Governmental support and incentives and the future price of silicon. These statements are neither promises nor guarantees, and involve risks and uncertainties that could cause actual results to differ materially from such forward-looking statements, including risks associated with the company’s ability to successfully negotiate a definitive subcontractor agreement with Jiawei, manufacture and sell its products; uncertainties related to government assistance and incentives; risks from various economic factors such as credit market conditions, fluctuations in currency exchange rates and other risks and uncertainties identified in the company’s filings with the Securities and Exchange Commission. Evergreen Solar disclaims any obligation to update or revise such statements to reflect any change in company expectations, or in events, conditions or circumstances on which any such statements may be based, or that may affect the likelihood that actual results will differ from those set forth in the forward-looking statements.